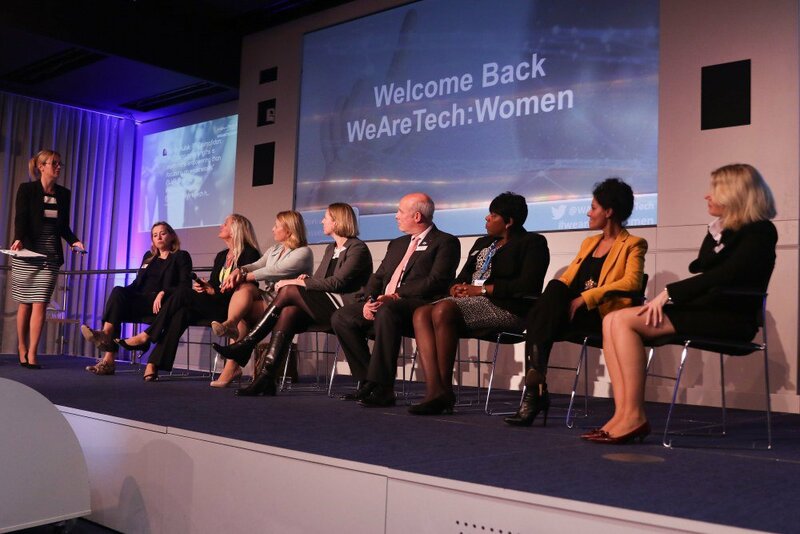 WeAreTechnology, the technology arm of WeAreTheCity, hosted its first full-day WeAreTech: Women conference for female technologist at Barclays, One Churchill Place, Canary Wharf yesterday. Across the day, delegates enjoyed listening to a number of high-profile speakers including Jacqueline de Rojas, Executive Vice President (Europe) at Sage and President of techUK; Agata Cooper, Senior Manager, Digital/Mobile Strategy at Accenture; Anne-Marie Imafidon, Founder of STEMettes; Michelle Moody, Engagement Director, Insights and Data at Capgemini UK; and Abigail Wilson, Senior Associate, IT Risk Assurance and Cyber Security, PwC. Over lunch, delegates were treated to light refreshments and meet author and Government Digital Advisor, Dr Sue Black during a book signing of Saving Bletchley Park. Throughout the afternoon, delegates attended their chosen elective sessions to partake in hands-on activities and interactive workshops. Python coding, Fintech, the Internet of Things, disruptive technologies and the application economy were just some of the topics covered within the sessions. Golding said innovation has changed her job in several ways and that it come with several challenges: “The volume of people visiting us means that the cool and agile stuff we would like to do can be limited. The challenge is how to cope with the volume, but still do something fun and funky. Kanda said improving morale on her team was a challenge that she decided to face head on by introducing ‘Fun Fridays’. The conference continued with a Women Lighting the Way career advice panel featuring Maggie van’T Hoff, CIO, Shell; Christina Scott, CTO, News UK; Jane Bell, Programme Manager, Barclays; Michael Keegan, Chairman, UK & Ireland Region, Fujitsu; Naheed Afzal, Co-Founder, Contracts IT Recruitment Consulting; Sheila Flavell, COO, FDM Group; Donna Herdsman, Client Director, ex-HP and Margarete McGrath, Disruption Director, EY. Describing the panel, Russell told the audience, “we are so lucky to have so many people at the top of their game here, so I hope you make the most of it.” The panel covered numerous topics including flexible working, mentors, closing the skills gap and advancing your career. Concluding the event, delegates and speakers alike took part in a speed mentoring session, opened by Fiona Capstick, Partner, UKI (Non-FS) Digital at EY. Speakers and senior individuals joined the delegate tables for an hour of mentoring to discuss career goals and ask specific questions. Attendees were also given the opportunity to network with sponsors, browse tables and stands of tech related products, as well as connect with a number of not-for-profit organisations including Women of Wearables, Apps for Good, Tech Mums, Your Future and STEMettes. The conference saw over 200 attendees from across the technology sector and a range of companies including Financial Times, Fujitsu, Credit Suisse, Computer Weekly, JP Morgan, IBM, Shell, National Grid and Brother UK.